Hooray! United States flu vaccine is here! It’s time for your child’s yearly flu vaccine! Why get the flu shot? Vaccinate against influenza (the flu) not only to avoid missed school days, but also to avoid hospitalizations and death. Last year in the USA, 172 children died from flu. You may not have heard about these fatalities because more sensational news tends to overshadow news about illness. We wish the news would inform that the vast majority of kids who died from flu had not received the flu vaccine. In addition, about half of the children who died from the flu were previously healthy and without underlying medical problems. Excluding the 2009 flu pandemic (H1N1), last year’s flu deaths represents “the highest reported since influenza-associated pediatric mortality became a nationally notifiable condition in 2004.” Kids younger than 5 years old have the highest flu complication rate of all children, so even if they do not yet attend daycare or school, bring your little ones in for a flu vaccine. Vaccinate your school-aged kids as well, for they spread the flu to more folks than any other age group. Does it help to wait to give the vaccine? What if the vaccine wears off before flu season ends? We wish we could predict just when the flu will hit, but sadly we cannot. Therefore, we urge you to give your children the flu vaccine as soon as your pediatrician has it available. Like all vaccines, it will take about two weeks for the protection against flu to kick in, and you never know when flu will strike your community. Did anyone catch the story about Vanilla Ice quarantined on a plane in New York with sick passengers last week? Turns out flu was on board. Don’t worry about immunity decreasing over time, infectious disease experts would not allow us to give it in early fall if they thought protection wouldn’t last for at least a few months. If I give my children the flu vaccine every year, why do I have to give it again this year? Even we constantly-exposed-to-germs pediatricians get our flu vaccine yearly. The flu germs morph from year to year so the vaccine also changes. Why does my younger child need a second dose this year? As in previous years, children under nine years of age need a booster dose the first year they receive the vaccine. If your young child should have received a booster dose last year, but missed it, they will receive two doses of this year’s vaccine spaced one month apart (the primary dose plus a booster dose). Is the nasal spray form back? Or is it only in injectable form? The nasal spray form of the flu vaccine is back for healthy kids ages 2 years and up. However, this year, it received only a lukewarm reception from the American Academy of Pediatrics. The AAP recommends giving all children aged 6 months and older the flu SHOT, because in past years the intranasal form did not protect against the flu nearly as well as the shot did. Not only is the nasal spray vaccine not getting a high endorsement, but some kids with asthma and kids with certain immune system problems are not allowed to get the nasal spray form. All kids can get the shot. So, pediatricians will continue to recommend injectable form of flu vaccine this year. However, with the rationale that something is better than nothing, for the severely injection-phobic family, some doctors may elect to give the nasal spray. In the past, my child did not get the flu vaccine because he is allergic to eggs- did that change? Even kids with severe egg allergies can get the flu shot safely in their pediatrician’s office. Now we know that allergic reactions to flu vaccine, as with any vaccine, are exceedingly rare. We visit other people’s homes only if they are not sick. 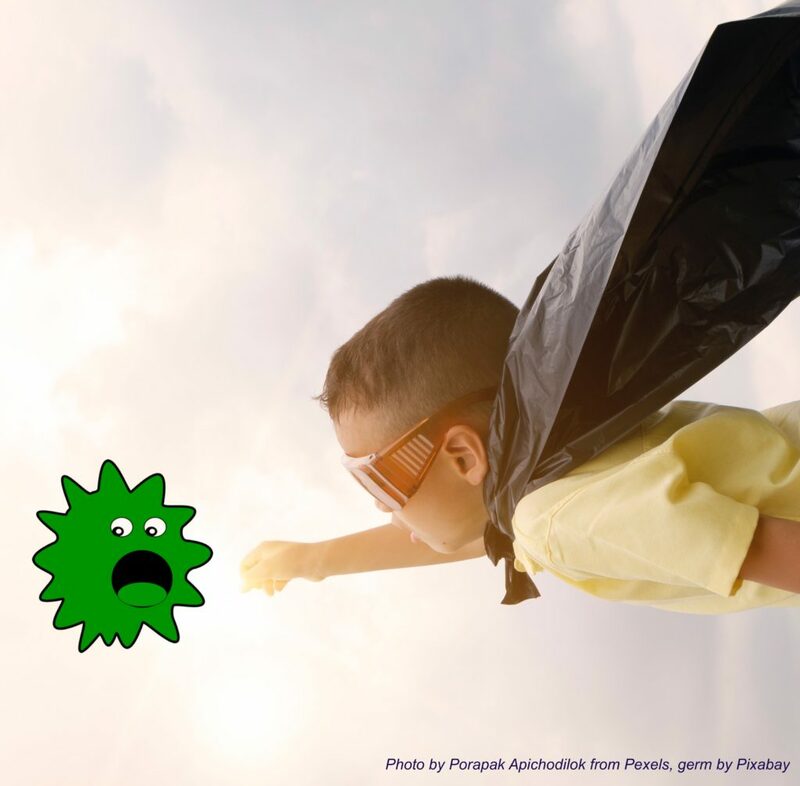 If my child’s friend doesn’t have flu symptoms, doesn’t that mean we can’t catch it from him? Nope. You are infectious the day before symptoms show up. Why is it worth it? The coverage is never 100 percent. Children who get the flu vaccine but then get the flu anyway do not get sick as severely as kids who are unvaccinated. If all kids and adults got flu vaccine, then the chances of YOUR vaccinated child getting flu would be MUCH less. That’s how vaccines work. Here we have tips on how to help your children if they get the flu. You can read a comprehensive summary of this year’s flu vaccine recommendations from the Centers for Disease Control here.